The German government have distributed an usettling photo of US President Donald Trump speaking to world leaders at the G7 summit, which is said to reflect the tension between the US and other nations. The two-day summit in Quebec, Canada, has ended in disharmony, with the US president refusing to endorse the joint statement from the G7 leaders, as well as threatening further tariffs against other nations. In the picture, which has today gone viral (June 10), German Chancellor Angela Merkel can be seen leaning over the table, speaking to Trump, while she’s flanked by British Prime Minister Theresa May, French President Emmanuel Macron, and Japanese Prime Minister Shinzo Abe. Also present in the photo is Larry Kudlow, Trump’s economic adviser (far left), and the US National Security Adviser John Bolton – who can be seen standing directly behind Trump. The photo was posted on Twitter by Steffen Seibert, (Merkel’s spokesman) and credited it to the official German government photographer, Jesco Denzel. 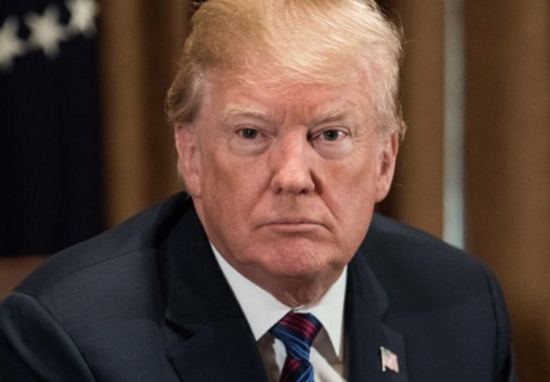 As well as the questionable photo, Trump has caused another storm, this time, attacking the Canadian Prime Minister, Justin Trudeau, who he called ‘dishonest and weak’ reports Sky News. The US president is said to have withdrawn his endorsement after departing from the Quebec summit, claiming Mr Trudeau had made ‘false statements’. 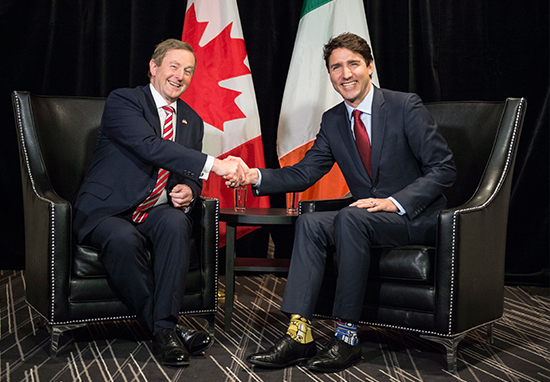 Despite the clear tension between politicians at the meeting – over Trump’s controversial decision to impose tariffs on steel and aluminium from Europe, Mexico and Canada – Prime Minister Trudeau announced the leaders had managed to agree a statement. The statement highlighs the importance of ‘free, fair and mutually beneficial trade and investment’ and committed the G7 to ‘continue to fight protectionism’. During his final news conference, Trudeau said Canadians would see Mr Trump’s line on trade as ‘insulting’ especially as there’s been a long history of co-operation between the two nations. Prime Minister Trudeau also warned they (referring to Canada) ‘will not be pushed around’. Very dishonest & weak. Our Tariffs are in response to his of 270% on dairy! I hope President Trump is feeling calmer after the turbulent meet, because up next, he has a meeting with North Korean leader, Kim Jong-un. He left the summit to catch a flight to Singapore, but not before telling reporters his G7 colleagues were starting to be more committed to ‘fairer trade’ with the US. British Prime Minister, Theresa May, admitted there’d been some ‘difficult discussions’ and that the debate between leaders had been ‘open and frank. 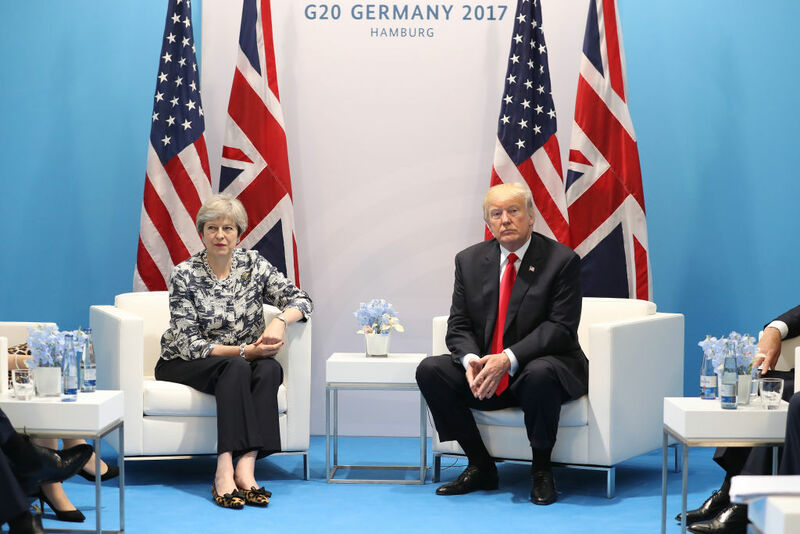 May revealed they’d reached an ‘agreed language’ on trade and on Russia, but said the EU would still proceed with implementing retaliatory measures to Mr Trump’s latest tariffs. She also stated how the UK had expressed its ‘deep disappointment at the unjustified decision by the US to apply tariffs to EU steel and aluminium imports’ at the meeting. The G7 leaders, in a stance of solidarity, said in their joint statement, they’d vowed to combat protectionism and cut trade barriers, as well as commitments to ensure Iran will ‘never seek, develop or acquire a nuclear weapon’.